At the Upbeat Dad, we’re all about sharing the positive message that fathers everywhere have a special role to play in the lives of their children. So on this Fathers’ Day, let me first say Happy Fathers Day to dads everywhere. Fatherhood is an honor and a privilege and on this day, I applaud all those who’ve accepted the responsibility and are making a meaningful impact on their children’s lives. I’m thrilled to share the story of a dad who’s so embraced his role, that he has captured a lifetime of memories with his child and is now sharing them with the world. 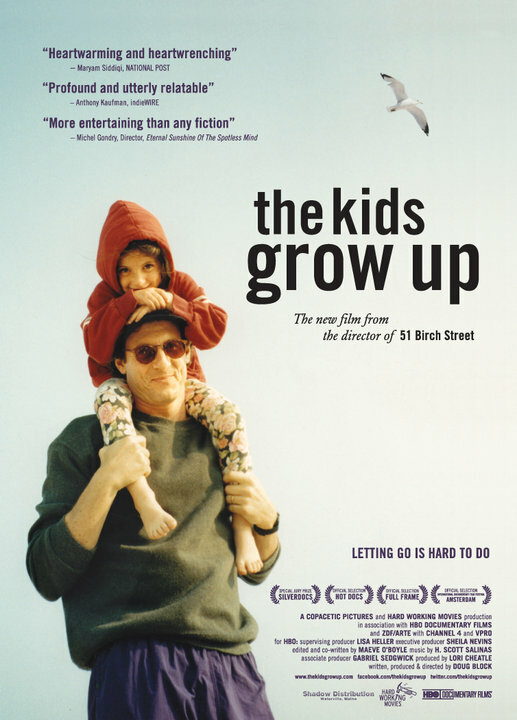 It is with great pleasure that I share the story of award-winning documentary film maker, Doug Block, and his film, The Kids Grow Up, which debuts on Fathers’ Day, June 19, 2011 on HBO2. 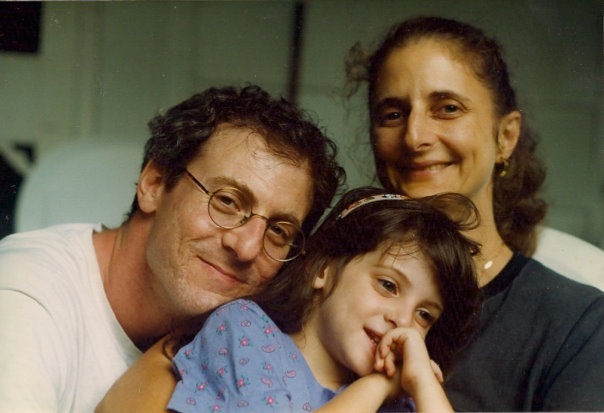 The film chronicles his journey as the father of an only child – a daughter named Lucy. The story captures the evolution of a young, innocent child on roller skates to a responsible young lady going off to college to chart her own path in life. Doug is no ordinary film maker. He has won numerous awards including: Emmy, Peabody, Sundance Grand Jury Prize and Independent Spirit. His film, 51 Birch Street, about his parents’ 54 year marriage, was named one of the Ten Best Films of 2006 by the New York Times, Chicago Sun-Times and the Ebert & Roeper Show. I had the privilege of interviewing Doug in preparation for this post. I also had the privilege of screening The Kids Grow Up and I must say the story is quite fascinating. And the more I watched the film, the more apparent it became to me that his experience as a father is not all that out of the ordinary. It’s a story about a loving dad who absolutely adores his child. Still, somehow, these stories do not often make it to the big screen. But he presents their journey together in such a compelling way that it endears the audience to embrace his approach. The Kids Grow Up tells a powerful story. Quite often, parents who feel they were denied something during their childhood tend to overcompensate when they have their own kids to ensure that their kids don’t grow up with the same regrets they had. Such is the case of Doug. He grew up in a loving home with his parents and two sisters. Yet, he never developed the close bond with his dad and that bothered him quite a bit. He decided that when he grew up, if he should have kids of his own, he’d ensure that he’s actively involved in their upbringing in every way possible, including developing a strong bond. He met and married Marjorie, a single mother of a son. Their blended family came together in a relatively smooth way. Still he longed for a biological child of his own. 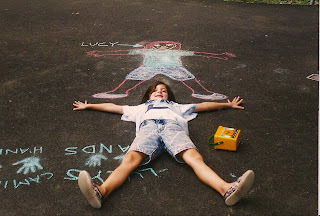 His dream came true in the early 90s when Lucy was born to them. Like many parents of his generation, Doug believed in capturing family memories on video-camera. But he’s no ordinary dad making home movies – he’s a documentary film maker, so his perspective is different from that of many others. For instance, he interviewed her at least once a year to get a sense of who she was and who she was becoming. 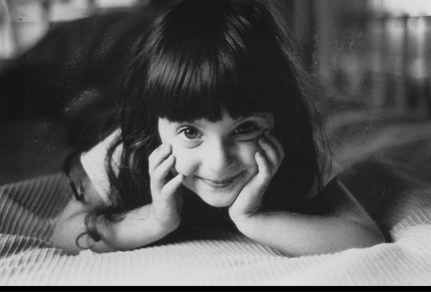 The film begins with a carefree four year-old Lucy talking and playing. 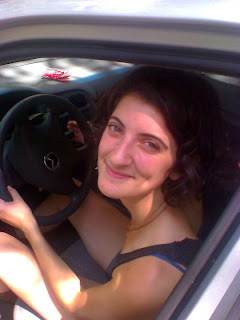 Then as the feature progresses, her development is captured through each stage of life – from the grade school age to her traveling to France to study for a year and then to her going off to school on the West Coast – miles away from her home in New York. Doug captures an interesting cross-generational family dynamic. His father is shown as an aging man reflecting on his life in its entirety. He raised and cared for his middle-class family, which for many dads is as good as it gets. Yet, as he reflects, he acknowledges that his single biggest regret is that he didn’t develop a closer relationship with his kids. Then there was Doug capturing and cherishing every moment with his child – pouring out his love to her. That’s quite a contrast between father and son. Still, as the film progresses, one sees that Doug and his dad have made peace with that issue. And although his father passed away before the release of the film, he did get to view the completed project before it hit the big screen. So, in a sense, his reward is that, by sharing his regret, he is sharing with others the importance of establishing a bond with your kids. Another interesting dynamic in the film is that Doug’s stepson, Josh, who was a boy when Marjorie and Doug married, grew up and became a loving husband and father – so much so that he and his wife took turns taking a year off after the birth of their child to bond with him. The cross generational dynamic regarding the role of fatherhood makes the film quite intriguing in my view. The highlight of the film is the range of emotions that Doug, Marjorie and Lucy experience as Lucy prepares to head off to college. At least for a moment, Lucy seems frustrated by the fact that she’s going away to school and her dad appears to be more fixated on making a film about her than being her dad while she’s getting ready to “leave the nest.” She says, “Instead of experiencing me going away to college, you’re just trying to film it.” By the end of the film as the family travels to the West Coast to see Lucy off to her studies, the emotions have subsided and each of them reflect in a positive way, on this transition – from a child living at home to an independent college student away from home. On this day when we celebrate the joy of fatherhood, I applaud Doug Block for being an Upbeat Dad – one who recognizes the very influential role that he plays in the life of his child. The film ended with Lucy going off to college. When I interviewed him, she already graduated. I believe that her success in her studies so far away from home, is due, in large part, to the loving environment established at home. Without that compass to guide them, many kids leave for college and don’t graduate because the foundation of love and support were not sufficiently established. So when they stumbled, they didn’t have the proper foundation to land on their feet. Isn’t this what parenthood is all about – lovingly preparing the next generation to make a positive contribution to the world? 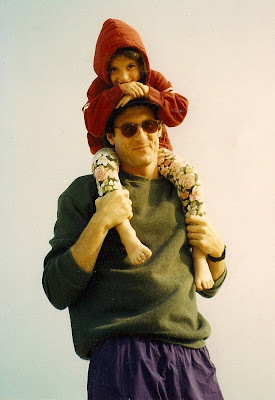 On this Fathers’ Day, let the story of Doug Block and his family inspire you. I often say that you display your love for your kids with a 4-letter word : T-I-M-E. He grew up with something missing in the connection between his dad and him. And he endeavored to make every moment count in his relationship with his daughter. He has sown positive seeds of love and support. And because of that, today he’s a proud dad reaping dividends that will last a lifetime. That’s love at work – being passed from one generation to the next. Enjoy your day. And if you’re a dad, have a wonderful and happy Fathers’ Day!